Unique Healing Tool in the World, Vital Energy Qi Infused to You Just from Day One! Miracles Energy Happen to You Just From Day One! Qinway Qigong Self Study Healing DVD Kit collects the signal essence of the Universal Energy. This kit (including two DVD & one CD) allows busy modern people to learn a complete set of highly effective Energy at home in the shortest possible time. "I definitely felt the energy of the Qigong kit from day one. These Qigong exercises are so graceful and powerful. It has already changed my life in many ways!" "I have only used the Qinway energized DVD Kit teaching system just for 2 weeks and am so impressed with the results that I am going to donate $300 more dollars to pay for what I believe the program is really worth." "The DVD Kit is hugely beneficial. I got miraculous healing results. I think, actually that every household should have a copy at this point in our evolution." "The Qinway recharge Qigong is so easy to learn! I am doing it everyday now!" "The students came to the retreat after they practiced this Recharge Qigong DVD Kit. They all received the healing miracles within a month." The Most Valuable Gift From Grandmaster to the World! Qinway Qigong is an accelerated complete healing system blending ancient Qigong immortality techniques and modern science. Founder Grandmaster Qin is a foremost Qigong innovator and spiritual teacher from China, and is responsible for many miraculous healing cases throughout America (plenty witnesses). Now the essence of Qinway Qigong is available through a unique "Fundamental Healing DVD Kit"! This easy-to-follow and highly effective one hour Qigong exercises can change your life from day one! Grandmaster infused strong universal energy into this kit so that you can experience powerful energy transmission from DVDs and exercise CD from day one. The energy infusion and detoxification techniques are especially effective for weight loss, hypertension, insomnia, beautification, and rejuvenation. This Energized Qigong Kit creatively combines universal energy in videos, audio, picture, practice guide and Goji Vital Tea. The following Six Kit Treasures together are capable of generating powerful healing effects of "energy infusion and detoxification." In this Energized Qigong Kit, Grandmaster Qin arranges strong healing signals to remotely match your individual spiritual signals, an important reason for its high effectiveness. She guides you through each important Qigong techniques. It is just like having a Qigong grandmaster come to your home for private instructions, leading you to success step by step. It is better that you use your own healing Kit to keep the signal purity for best healing results, in the meantime drinking Goji Vital tea. This unique Qigong Kit is taught directly by Grandmaster. It was shot and produced during a 5-year period improving upon many different versions, and finished with a collection of most high energy signals. It is now time to learn from Grandmaster with her signals remotely delivered to your home! Note: Although this powerful kit contains the essence of Qinway Qigong, it is not enough to support or initiate bigu (energized fasting), for which one has to learn from Grandmaster Qin in person in order to fully open energy channels as Special Ability Rejuvenation 3.3D Retreat and have more supports. To help you connect with universal energy and protect their own energy, and especially to help you save a few years of practice to get basic energy, Grandmaster Qin collects universal energy and infuses it into different products to let energy signals surround you through these vehicles. Grandmaster also arranges strong healing signals to remotely match your individual spiritual signals. Pure energy infusion and detoxification techniques. The use of Qinway Qigong Energized Products has spread by word of mouth, as they greatly accelerate the healing process. This Fundamental Healing Video Kit is specifically designed for modern people living in a fast pace society with an ever increasing need to stay stress-free and energetic. As a spiritual Qigong, it allows you to connect with abundant universal energy instantly, which greatly saves your time in practicing other complicated systems. As an ideal tool of preventative medicine, this is an investment in your health that can significantly increase the quality of your life, and reduce lifetime medical expense. Please see the above Comparison Table for details.  With Drinking Yin-Yang Healing Tea Daily, in the mean time following "Best Drinking Guide" (See Yin/Yang Healing Tea). 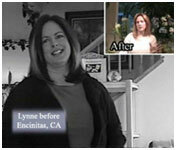 Cost: You can learn a highly effective healing system through this Unique Energized DVD Kit for only $298. (But Now Only $49, Limited Time) order now! Return Policy: This Energized Qigong Kit consists of super technical software professionally manufactured. All sales are final and non-returnable. In the very unlikely event of quality defect, it may be exchanged within a month of purchase. Support: You may check website or e-mail 930@qinway.org. Info: The most convenient way is to order through our secure online shopping cart (Visa, MasterCard only. Corporate or non-US-based credit cards may be charged 1.37% additional processing fee paid to Visa or MasterCard companies). After practicing with the Qigong Kit, I immediately fell in love with Qinway Qigong. I decided to come to Qinway to learn directly from Grandmaster Qin, giving me great results. By using the methods of Qinway Qigong,I was able to heal my rare diabetes, which was diagnosed by my doctors as incurable. I have lost over 30 pounds, become medicine-free, and been energetic ever since. I definitely felt the energy of the Qigong kit from day one. These Qigong exercises are so graceful and powerful. It has already changed my life in many ways!" After practicing Qinway Qigong for just four days, I have more patience with my children, less anger, and can fall asleep much more easily. When I get depressed,it is much shorter, and not as hard to get out of. I thought the Qigong DVD was great. Very clear, uplifting yet peaceful. Very joyous to watch and experience. I did experience energy transmission in my body while watching the Qigong video,such as a hot sensation in my hands, and forehead, and my body felt warm. "I started using the DVD Kit and drinking the Yin-Yang Healing Tea after I attended your introductory seminar on June 30, 2007. I have had amazing results in just 4 months. I lost 10 pounds in this short time whereas in the past, I kept gaining weight each year. It is so easy to drink the tea all day because it has a light, refreshing taste. The qigong exercises make so much sense to me. They are easy to do and not at all strenuous and I like that they help me with both physical and spiritual healing. I also modified my diet as recommended, eliminating animal protein (meat) by 90% and eating mostly vegetables and fruits. I feel so much better and was surprised I felt less hungry even though I hardly eat meat now. I like your DVD Kit so much, I simply had to get one for my sister and am ready to purchase another one for a friend. I highly recommend this miracle product to everyone looking for healing."